New office expansion enables Renew Financial to quickly grow lending operations and support growing PACE financing program in Florida. OAKLAND, Calif., May 26, 2017 -- Renew Financial, a leading clean energy finance company, today announced it will be opening a new office in the Atlanta, Georgia, metropolitan area. 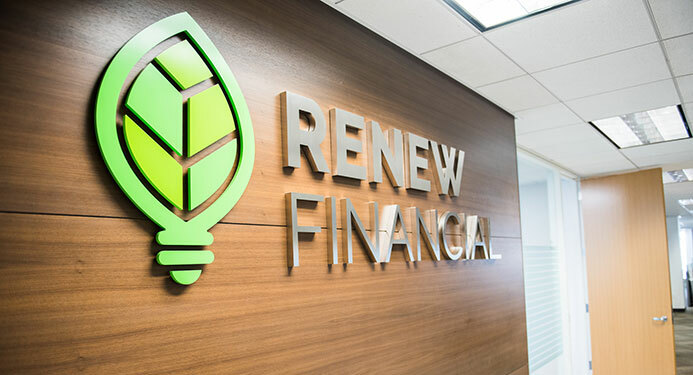 This expansion enables Renew Financial to accelerate its growth in energy efficiency financing and provides an office location closer to one of its primary growth target areas. The new office will focus on loan operations for Renew Financial’s PACE financing program for home energy efficiency upgrades. With this expansion, Renew Financial will have five office locations, including its national headquarters in Oakland, Calif. and offices in Allentown, Pa., Portland, Ore., and Roseville, Calif. Renew Financial is one of the nation's leading home improvement financing companies. Renew Financial provides multiple financing products across the country with programs available in several states, including Property Assessed Clean Energy (PACE) programs operating in California and Florida. PACE is a state-enabled, local government-controlled financing tool that enables property owners to use privately-sourced capital to finance the entire cost of energy efficiency, drought resiliency, hurricane and earthquake mitigation, and renewable energy upgrades to their homes and businesses, and then repay those costs on their property tax bill. PACE was named by Scientific American as one of the "top 20 ideas that can change the world." PACE is a job-creating policy tool that has enjoyed bipartisan support, having been championed in state legislatures by members from both sides of the aisle. Renew Financial is a pending trademark of Renew Financial Holdings Inc. The Renew Financial CaliforniaFIRST financing program is sponsored by the California Statewide Communities Development Authority, Los Angeles County and Western Riverside Council of Governments. The RenewPACE financing program is sponsored by the Florida Green Finance Authority. Both programs are administered by Renew Financial Group LLC.